I obtained LLB in 2004 from the University of Nottingham. I obtained PCLL in 2005 from HKU. I was called to the Bar in 2006. 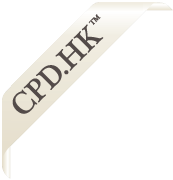 I was one of those who designed the HKU PCLL personal injuries course in 2008 - 2009. I was accredited as a general mediator in 2011 by HKIAC. I obtained Masters in Counselling in 2012 from the University of Monash. I received family mediation training from the Family Welfare Society. I was accredited as a family mediator in 2013 by HKIAC. I am a general and family mediator of the HKMAAL. I am an editor of the LexisNexis Dispute Resolution module. I am married with 2 kids. As a barrister in 601 Dina House, I am often instructed to work on general civil and personal injuries cases. I am also regularly instructed to conduct criminal trials and appeals. As a mediator, I stay mindful to the legal and psychological aspects of the case. People become angry or depressed due to legal disputes. I think psychotherapeutic techniques are very helpful. Dr. Isaac Bruce Yang obtained his medical degree from the Chinese University of Hong Kong in 2006 and was followed by his specialist training in orthopaedics and traumatology in Tuen Mun Hospital. He was admitted as a Member of the Royal College of Surgeons of Edinburgh in 2008. He completed his training in 2013 was admitted as a Fellow of the Royal College of Surgeons of Edinburgh, the Hong Kong College of Orthopaedic Surgeons and the Hong Kong Academy of Medicine the same year. He received post-fellowship training in the field of adult joint reconstruction and trauma surgeries. He attended training in several renowned centres in the world - Hospital for Special Surgery in New York, Harborview Medical Centre in Seattle, Mount Sinai Hospital in Toronto and Nuffield Orthopaedic Centre in Oxford. He has special interest in knee and hip surgeries. He was appointed as an Associate Consultant in 2015 and co-ordinated the Joint Replacement services in New Territories West Cluster. He serves as a reviewer of the Journal of Orthopaedics, Trauma and Rehabilitation and he is an active member of the AOTrauma organization and is also a life member of the Hong Kong Orthopaedic Association. In recognition of his professionalism, he was appointed as an honorary clinical assistant professor by the University of Hong Kong and The Chinese University of Hong Kong. In addition, he was appointed by the Chinese University of Hong Kong as an adjunct assistant professor in teaching anatomy to undergraduate medical students.